What happens when you put two track sweepers on Barber Motorsports Park together during IndyCar’s race weekend? Apparently, just as much drama as you’d expect from the open-wheel series itself. 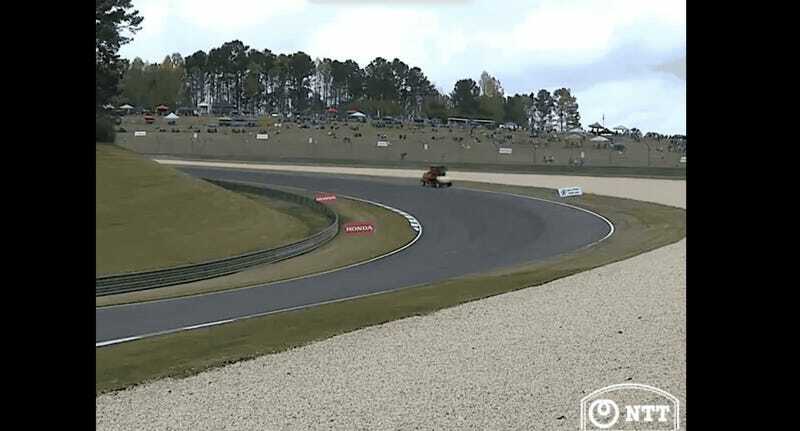 Two track sweepers were out clearing the track between the Formula 3 and Mazda MX-5 Cup sessions at Barber Motorsports Park. 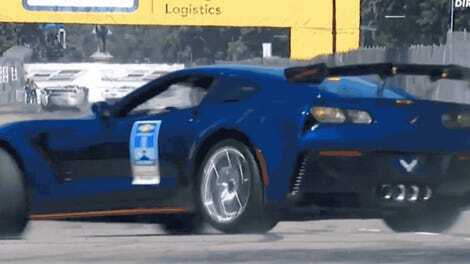 It appeared that the two sweepers were racing each other, according to Reddit user, FustangMastback. The fella in the video just got a little too close to the grass, caught a tire, and lost it. I have to say, I can’t blame the person behind the wheel. Is is so incredibly tempting to race anything when you have a chance to get it out onto a race track that I’d happily push any vehicle—even a track sweeper—to its limit.